Eligibility: Eligible students are those, first time applicants, from a non-European Union state, whose household does not file taxes within the European Union, and who have been admitted to the Undergraduate or Master’s programme. Selection Criteria: This scholarship is awarded based on factors of excellence and according to the type of profile sought for this programme. Social criteria are also taken into account. Selection Process: The Admissions Department is responsible for awarding Boutmy scholarships. Value and Duration of Scholarship: The Emile Boutmy scholarship is awarded to Undergraduate and Masters students arriving at Sciences Po for their first year of study. 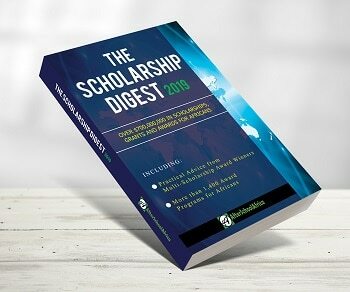 If you have been granted for a scholarship and you decide to defer your admission, your scholarship wil be lost. During the year abroad (third year of the undergraduate programme): Scholarship recipients will retain their tuition fee grant and additional cost of living grant (if applicable) during their year abroad. How to Apply: In order to apply to this scholarship you must notify it on your application form, as well as include a proof of income and documents explaining your family situation. Students must indicate that they are applying for the Emile Boutmy scholarship in their Sciences Po application. Students will also be required to include proof of income and documents explaining their family situation (e.g. income tax return for both parents, payslips, divorce certificate, unemployment benefits, documents related to alimony, child support or retirement pensions, death certificate…). It is important to visit the Scholarship Webpage (link below) to access the application form and for detailed information on how to apply for this scholarship.